British Columbia is a massive land mass and craft beer spans east to west and north to south. The pace of change in Vancouver craft has been massive but the focus on such a small geographic area does not pay tribute to the amazing growth, tradition and stability that has come from the further reaches of this beautiful province. Visiting a craft brewery does not have to be limited to a three-block radius in East Vancouver or the Victoria Brewery Stroll – it can be an experience of the magnificent outdoors which surround each and every BC community. In a journey spanning over 3400km and passing through the likes of 14 craft breweries outside of the Fraser Valley this is the quest to experience the wave of craft beer found outside of the traditional urban stomping grounds of craft beer fanatics. The trip kicked off heading from North Vancouver on a warm summer’s evening. Heading out the valley and up Trans Canada Highway before merging onto the 97 the first brewery on the map comes from Quesnel BC. As you pull into town you are greeted by a gold rush inspired town and the one and only Billy Barker standing guard with his shovel and gold pan in hand. This is also the inspiration behind the Barkerville Brewing Company. The actual historic townsite of Barkerville is a bit of a drive east of Quesnel but the impact of Billy Barker and the Gold Rush on this area is very significant. The Barkerville Brewing Company started their operations back in February 2014 and the beer has been making an impact ever since. The first beer they released was the 18 Karat Golden Ale which has made its way across the province and into the hands of select craft retailers. On this particular visit the Wandering Camel IPA was up on the bottling line and almost ready to hit the retail shelves. If you didn’t pick up on it, paying tribute to history is important to this small-town brewery and Camels played an important role in the area’s Gold Rush. When you stop in for a tasting at the Barkerville Brewing Compay you can sit down in their tasting area then head outside to get a taste of the local food truck fair. That is right, Quesnel has a food truck scene and whether it be tacos or fish & chips the food truck scene has arrived. Moving onwards from Quesnel the drive goes north to Prince George then East towards Edmonton, Alberta. The second stop on this BC Tour De Beer is the small town of Valemount BC. Located on the Hwy 5 spur on the Yellowhead, Valemount is a small mountain town which is on the path from Vancouver to Edmonton. If you make the drive to oil country this is a sure stop along the way. This trip is not about walking across the street to see the next in line, it is about experiencing the BC wilderness and inspiration behind the people and the brands that make up the roster of BC based craft breweries. It is the land around us that inspires our actions and taking a trip around this beautiful province is an opportunity to take it all in and see why British Columbia is the best place on earth. Valemount is home to the Three Ranges Brewing Company, a nano-brewery which also opened its doors back in December 2013. This small brewery is a great place to stop in for a flight with as many as six different beers on tap the list running from the local favourite lager through the roster to the IPA. If you decide to take home a 6-pack or growler of their Sacrifice Red Ale, Three Ranges will also donate 10% of revenue to veteran charities. The Three Ranges Brewing Company has the support of their local community and is a draw to those passing through town. It is hard not to love what this brewery is doing with the mountains in the backdrop and a beautiful patio which just opened up in the fresh mountain air. As tough as it is to leave the beauty of Valemount, the Yellowhead extends south towards Kamloops BC and onwards to our next destination. From Kamloops the drive heads East once again and through the town of Sorrento BC. Here, if you plan ahead you can stop in at the Crannog Ales brewery and taste the iconic Back Hand of God Stout or one of the many other delicious brews on tap. Be sure to check the website before heading through town though as their hours do not conform to a traditional 9-5 schedule. Continuing east the next stop along the way is mountain resort town Revelstoke. In this small, winter destination the Mt Begbie Brewing Company has been brewing for more than 15 years. Building its early success on local retailers the community support is a key aspect to business here. Because of this fact you can not actually taste beer at the brewery unless you take part in a Friday tour. You will need to check out one of the many local pubs and restaurants to taste the beer but you can pick up packaged beer and some brewery memorabilia while you are there. The Mt Begbie Brewing Company is a staple of the BC craft beer scene. With more than 15 years under their belt and a revitalized look at the industry you will see new offerings such as the Tail-Whip and the Illa Swilla which step out of the box in flavour and labels while staying true to what has made this mountain town brewery successful through the years. When in Revelstoke do not forget to stop in at La Baguette for a quick coffee and lunch! Rolling onwards from Revelstoke the brewery trail heads further south through some more absolutely amazing scenery. From wildlife to rivers and lakes plus the rockies looming to the East this is some of the most beautiful sights in our amazing province. Taking a few minutes to enjoy the moments is something you will never regret! Following a stint with nature and a path through the eastern reaches of BC comes the small town of Invermere. Invermere is home to the Arrowhead Brewing Company where locals, lake-goers and anyone else that happens to be passing through town is bound to stop for a tasting, bite and a growler fill. With a lounge license for the premises you can order your pretzel and enjoy a full pint while the line extends out the door with people on the hunt for some craft beer refreshment. Arrowhead’s tasting room is adorned with a 50’s gas station theme and showcases one of the largest lines of merchandise of any BC brewery. The items available go so far as to include, t-shirts, tank tops, hoodies, hats, glassware, growlers, pitchers, snowboards, calendars, stickers, keychains, belt buckles, soup mix, hot sauce and preserves. If this isn’t enough for you, there are also seven different beers on tap awaiting your tasting. From Invermere comes the slight diversion off-route towards Fernie BC. With this diversion comes a reminder about how fragile our beautiful backyard is. 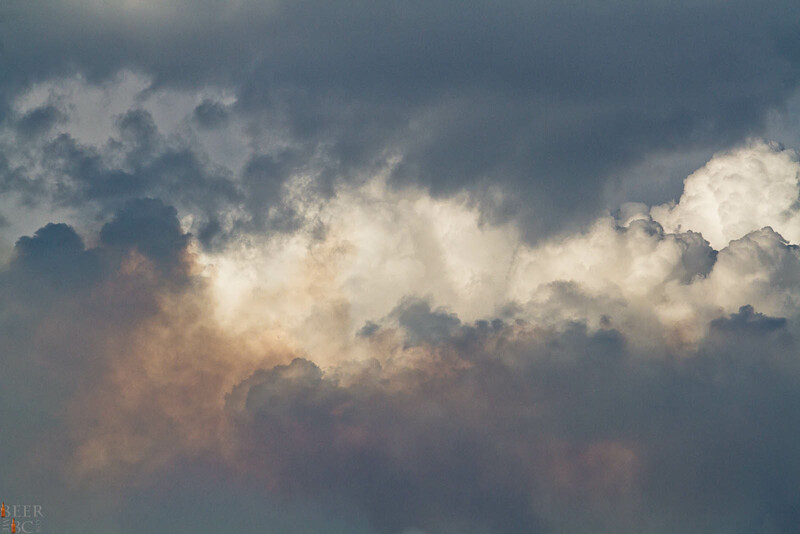 Forest fires rage across the province we can not be too careful in the prevention of fires. The people that fight these fires are true heroes and deserve our full support. These fires burn in the background and each one poses risk to losing great expanses of this land we love. British Columbia is an amazing place to live and visit. Our amazing backyard is fragile and we need to work together to save it for tomorrow! The eastern-most brewery in British Columbia is the one and only Fernie Brewing Company. Located on the eastern edge of BC this is barely a stone’s throw away from the Alberta border. With this location in mind it is no surprise that the Alberta craft beer market is a major aspect of sales for the Fernie Brewing Company. The Fernie Brewing Company is a fantastic little stop along the rows of mountains making up the skyline. Fan favourites such as the Tall Timber and Project 9 plus new favourites like the Last Cast Summer IPA make up the taps and give visitors the opportunity to try a full craft experience on site. The Last Cast is part of the limited release line of IPAs which has been an enourmous success. First started as a pilot project this line is now an ongoing plan with passionate fans desperately awaiting each and every new release. Fernie is major contributor to the BC craft beer scene with an established footprint in the minds and palates of BC customers. This mountain town based brewery does keep a sense of humour about things though and has some fun along the way. The canning line makes up a great proportion of sales these days and with consistent growth on the horizon the people behind the beer are spurred on with a tickling of encouragement. With Fernie being the far reaches of British Columbia the only way to go at this point is west. Back along the southern edge on the direction towards home the views kept on coming and the breweries would become closer and closer together. On the long road west one must eat and Cranbrook is a stop that should not be missed. Home of the Heid Out Restaraunt which doubles as the Fisher Peak Brewery this is a brewpub style stop that will quench your thirst and fill your appetite at the same time. Fisher Peak does not bottle their beer but a flight with lunch will be a well deserved break before continuing down the craft beer trail. Nelson is home to the Nelson Brewing Company. This organic brewery has been brewing delicious craft beer since 1991 in the same location. The building was actually built as a brewery back in 1897 and the basement level brewery in an otherwise very hot location makes for a perfect fit and temperature controlled setting. In recent years Nelson has shifted focus away from their standard bottled six packs to concentrate on bombers and canned options. The most recent release is the Organic Ginger Beer where Ginger and Lemongrass make for a balanced and very refreshing summer brew. 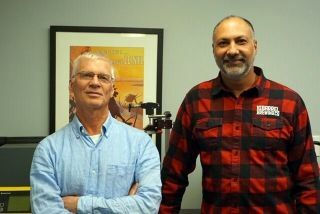 This in addition to the Full Nelson, Paddywack, Tall Tale and many other well known BC brews makes Nelson Brewery another longstanding staple on the BC craft beer scene. The Nelson Brewing Company does not have a tasting room on site but their beer can be found pretty much everywhere in Nelson and across the province. Wherever you are, Nelson beer is likely not far away! 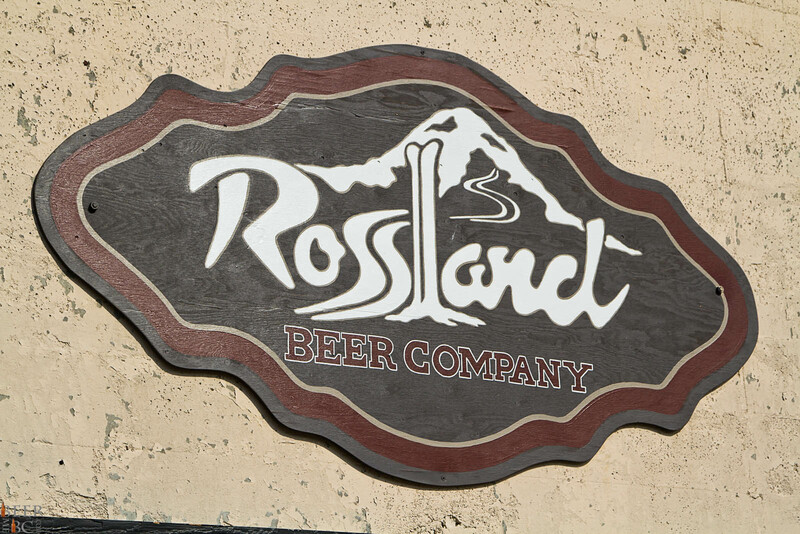 The newest BC Craft Brewery along this road trip comes in the form of the Rossland Beer Company. Opening in July, 2014 Rossland is the home of the newest nano-brewery in BC. Launching With a Pale Ale and an IPA local demand will likely make it difficult to keep both in stock but with some hard work and determination this team is looking to start bottling soon and share their beer with the rest of the province. Uniquely, the Rossland Beer Company has their tasting room situated well above the brewery in a gallery-like scenario. While you sip your Pale Ale among friends you can watch below while your new favourite beer is brewed. This is definitely a highlight along the trip with delicious beer, great people and another beautiful location for a BC craft brewery! 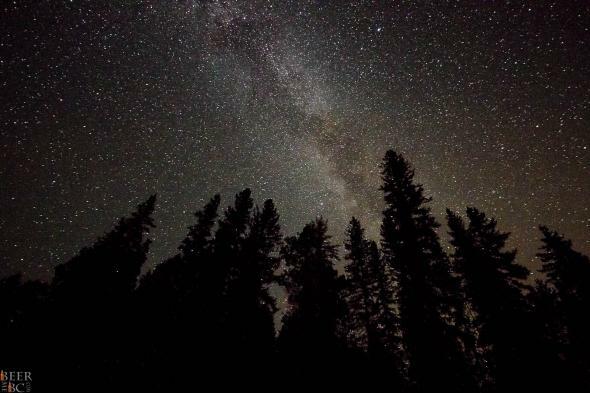 From Rossland, heading west you enter the better known reaches of the Okanagan and with that comes bigger skies, more nature and the continued beauty of British Columbia. 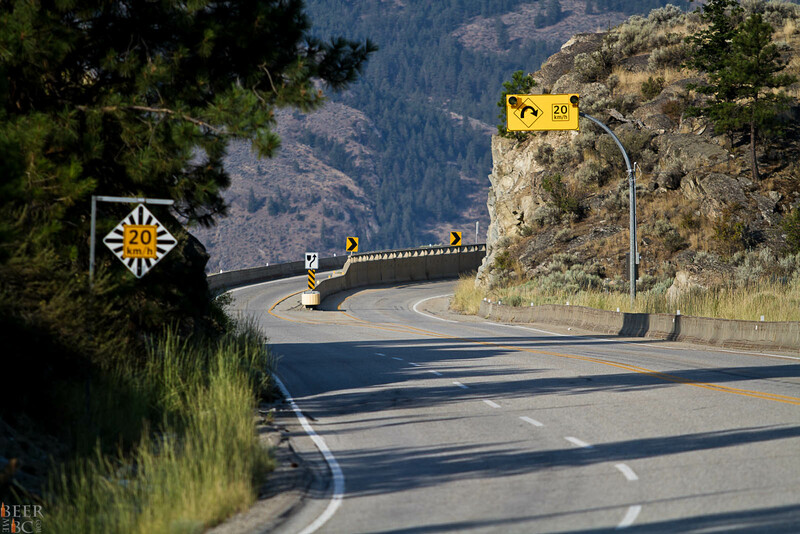 After driving through Grand Forks and through the numerous provincial and regional parks you will eventually descend through the switchbacks into the town of Osoyoos. This marks the entrance into the Okanagan Valley and the next stage of brewery visits. Passing through Osoyoos, the small town of Oliver comes up shortly. Dubbed as the Wine Capital of Canada there is a small brewery that is trying to change this one dimensional view on things. The Firehall Brewery is situated on the main drag through Oliver beneath a tied-house restaurant. Firehall is perhaps best known for their Smoked Stout but also brew the Backdraft Blonde and Stoked Ember Ale. The brewery is not open all that often but if you would like to get the full tasting experience, the restaurant is your best option. This old firehall building is home to the Firehall Bistro and Brewery where you can enjoy it all! North of Oliver is the summer resort town of Penticton. Known for it’s beaches, summer festivals and tubing canal Penticton has also become a hot spot for BC Craft Beer. Home to three breweries and a plethora of wineries in the area Penticton is a hotbed of activity around craft of all sorts. The first stop in Penticton is the longstanding Cannery Brewing Company. Known for longtime favourite brews such as the Naramata Nut Brown, Wildfire IPA and Blackberry Porter Cannery does a fantastic job of integrating locally inspired flavours into their craft beer. More recently the Artisan Creation series has brought new lift to the brewery starting off with the award winning Baltic Porter and the Red Dawn Saison. With Summer in full swing and the beaches packed with thirsty beer drinkers Cannery is running at full capacity just to keep up with the insane demand. Just down the street from Cannery is the Tin Whistle Brewery. Also focussing on locally inspired flavour this is where you can find beers with flavours consisting of Peach, Apple, Strawberries and other fruits grown in the surrounding area. Not only do locals enjoy the tribute to local industry with these fruit based beers but the crisp and refreshing nature of these brews make for the perfect drink on a blistering hot, Okanagan Summer’s day. Last up on the Penticton Brewery crawl is Bad Tattoo. Opening up at the beginning of July this year, Bad Tattoo is off to a great start with their brewpub style setup. Focussing the food on Pizza, a combination of traditional and innovative flavours make up the menu along side a tap-list sitting 4 beers wide. The Bad Tattoo Brewing Company has packed seating out on the patio being only a few blocks from the beach. The beer is currently only available on location in Penticton but keep an eye out as bottling is imminent and canning should follow shortly afterwards. On a road-trip of this scale it is important to end on a high note. Stretching north of Penticton to the Summer favourite city of Kelowna you will find the Tree Brewing Company doing its best to satisfy the thirst of more than 120,000 locals plus the thousands of tourists passing through town daily. 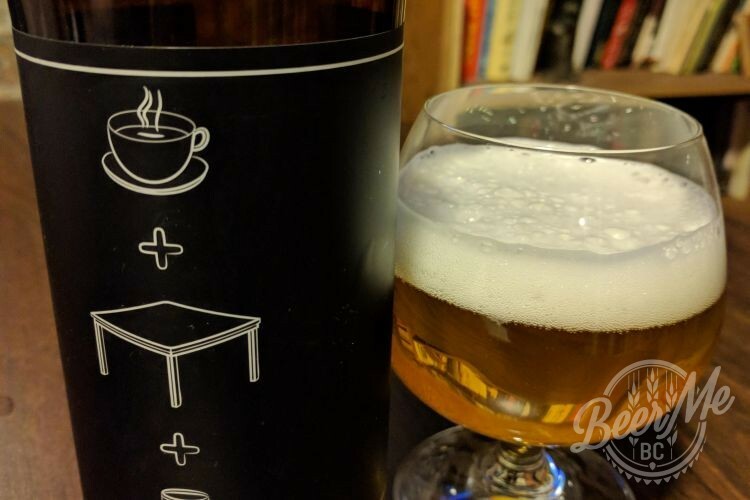 Tree Brewing is one of the largest craft breweries in British Columbia but their modest demeanour keeps the brand grounded and focussed on the beer. Nestled hidden behind the packed tasting room lies an impressive line of fermentors giving Tree the capacity to fuel tap lines if 5 different provinces and a territory. Tree Beer staples such as the Kelowna Pilsner, Thirsty Beaver and Hop head are iconic BC brews and this team’s focus on doing what they do extremely well has created a massive following not only in BC but stretching all the way to Ontario. Following another highlight stop on this BC craft beer adventure the relatively short drive back to North Vancouver gave time to reminisce on the amazing place that we call home. BC is home to more than 70 breweries and each one has a unique story as to why they do what they do. 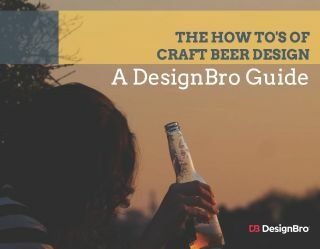 The craft beer industry is about more than just making quality beer. It is a dedication to quality, artisan and locally crafted products. It is about pushing the boundaries of tradition and not just creating a product but delivering an experience around the people, the process and the incredible flavour that comes with it. Craft Beer is just one aspect of BC that makes it the best place on earth. From the mountain vistas to the wildflowers and birds each corner unveils a new set of wonderments to educate and amaze. Using craft beer to guide your exploration is just one carrot to dangle on a string and take you to the farthest reaches of our province. Driving 3400 kilometers is not necessary if you want great beer but taking a bigger view on the industry around you and making the effort to go beyond is very important. Take the time to explore and go beyond typical. Try new beer styles, explore new breweries and slow down to enjoy the scenery. BC craft beer is great not just because of the breweries but also the location of where you get to enjoy it! It is time to plan your next craft beer trip. Where will your adventure take you? *Note. Beer and driving do not mix and doing such a trip described above is not an excuse to drink and drive. This road trip was done with a strict focus on responsible actions. The best way to ensure that you are being safe and responsible to ensure a .00 alcohol blood level when operating a vehicle. Please do not drink and drive! Sounds like you had a good time, that’s a pretty good road trip there! I think it would be a great idea to visit the hop growers of our province and give them some credit for what they provide, who they are and support the local suppliers of our hop industry here in BC. 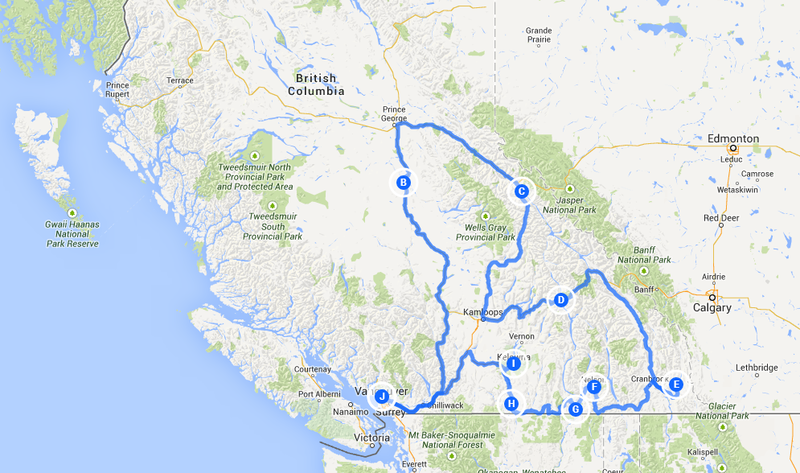 It was a big adventure and an amazing opportunity to visit some of the more remote BC breweries! I am actually doing a Kootenay’s loop soon. I can’t wait!